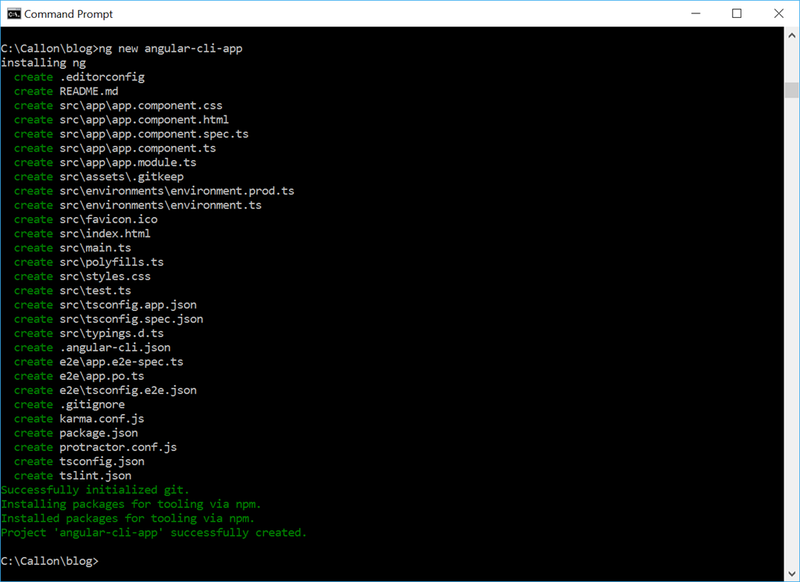 This post I’ll introduce you to Angular CLI (command line interface) and how you can use it to get started quickly with building your Angular app. Both the Angular CLI and its generated projects have dependencies that require Node 6.9.0 or higher, together with NPM 3 or higher. Once your app is up and running, navigate to http://localhost:4200/ to see it. Once the app is running, any changes you make will automatically apply and your app will reload. As you can see it’s fairly straight forward to get started with an Angular app. The Angular CLI really takes care of everything for you compared to the days where you have to manually copy and paste the references and create each file necessary to get your app started. In the next post I’ll dig deeper into using Angular-CLI to create components, routes, services and other stuff. Source for this sample can be found here.